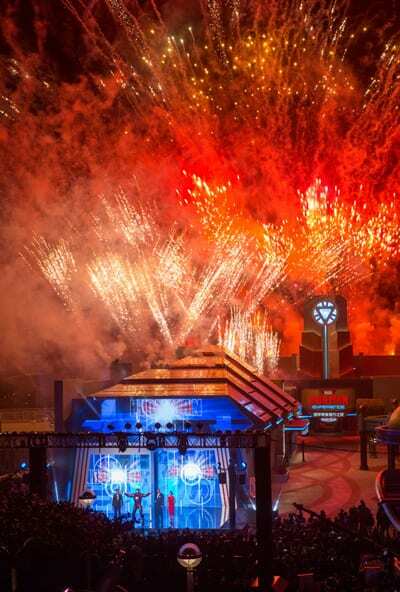 Earlier today, the first-ever Marvel-themed ride at a Disney park – Iron Man Experience – Presented by AIA – opened to the cheers of guests at Hong Kong Disneyland Resort. 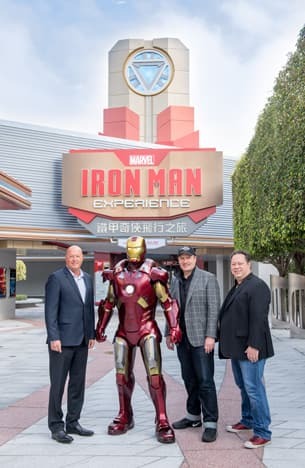 As we shared earlier here, the new Iron Man Experience attraction at Hong Kong Disneyland takes you on an epic adventure of a lifetime where you join Iron Man in a battle against the evil forces of Hydra across the city of Hong Kong. 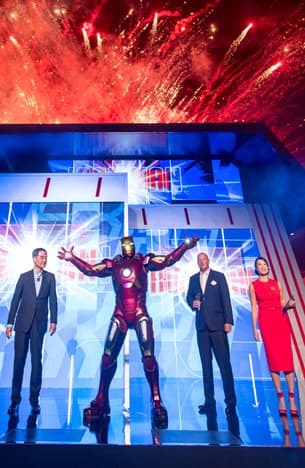 Chairman of Walt Disney Parks and Resorts Bob Chapek joined members of the Hong Kong government to unveil the attraction that brings the Iron Man character to life inside the park. Anchoring a unique storyline, the eminent innovator and pioneer, Tony Stark has selected Tomorrowland in Hong Kong Disneyland to host Stark Expo, where he will show off his latest high-tech creations in various exhibition halls – the Hall of Legacy, the Hall of Protection, the Hall of Energy and the Hall of Mobility. Guests will be among the first to explore Tony Stark’s latest innovations up close and fly in a gravity-defying Iron Wing flight vehicle in Iron Man Experience. He has also made Hong Kong the Asia headquarters of Stark Industries hereafter. Guests will make their way to the Hong Kong Stark Tower powered by the arc reactor and whizz alongside Iron Man through streets that resemble those in West Kowloon and downtown, and fly over iconic Hong Kong landmarks like Tsing Ma Bridge, Victoria Harbour and the city’s pristine mountain ranges. The attraction also features the Iron Man Tech Showcase, which gives guests a personal encounter with Iron Man himself, and the Become Iron Man interactive game. Guests can also choose from a variety of Iron Man-themed food and beverage experiences and merchandise offerings. The opening of Iron Man Experience continues a period of growth at Hong Kong Disneyland with more on the way in the months ahead. A third resort hotel, Disney Explorers Lodge, will open later in the first half of the year. 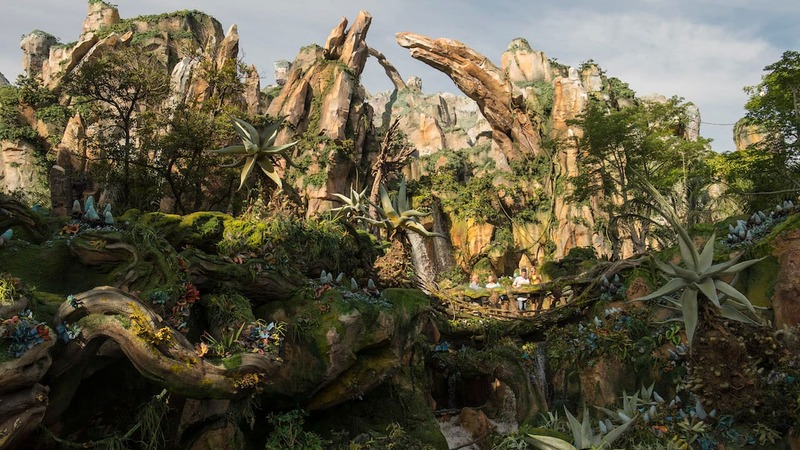 Keep checking the Disney Parks Blog for more updates from Hong Kong Disneyland.